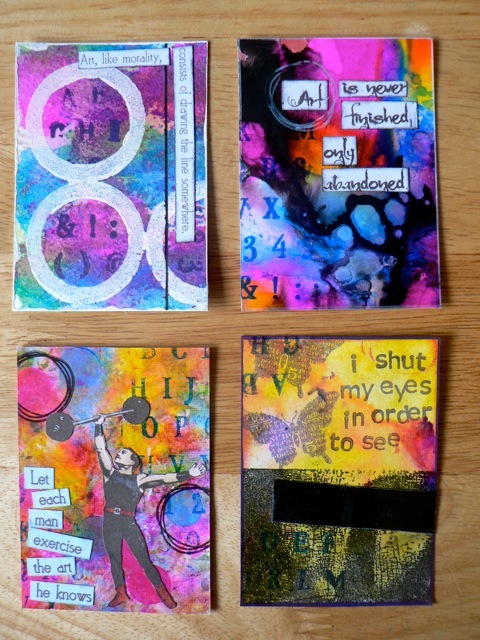 Quite surprisingly, I managed to actually make those ATCs and am pretty happy with them in the end. I decided to use something on every one of them as a sort of unifying element, as they are quite different. I used a little tiny alpha set from an old (blimey – copyright 2005-2007, so quite old) GoGo kit someplace as it added interest without totally obscuring the colourful background. I’ll start in the lower left, as that was the first one. 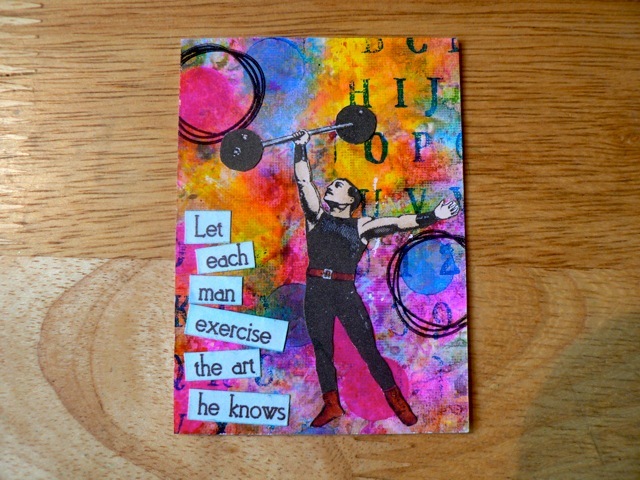 I used a freebie download of a weightlifter to match the quote. I may still try to find a paintbrush or pen to replace the barbells, but I thought of that after I stuck it down. 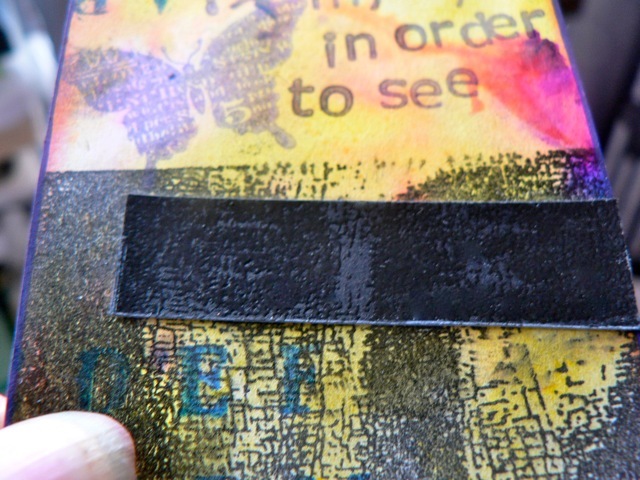 The next, uses a Ma Vinci Mona stamp – to reinforce the quote I stamped the image again on black cardstock then embossed it. You can’t see it in the photo but in close up it’s a bit more obvious. While I do like the idea I’m less happy, overall, with this one than the rest. Then, I did very little to the most vibrant background ’cause I wanted it to be seen. WAY appropriate for me, as I abandon stuff ALL the time LOL! The little scribble circle (no idea what that stamp is, but I like it a lot) is actually stamped after colouring with white Distress Marker. It lifted the colour from the ink quite nicely. Must play with that more. If you like them, and find them useful, grab the PDF (nine total, three of each colour, one page) here. 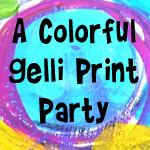 Categories: art, ATCs, digital goodies, downloads, printables | Tags: art techniques, ATCs, printables | Permalink. 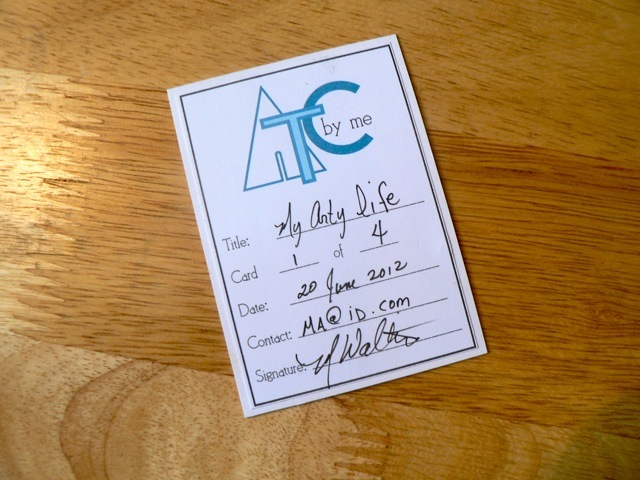 Thank you so much for sharing your printable ATC backers! You are so kind! 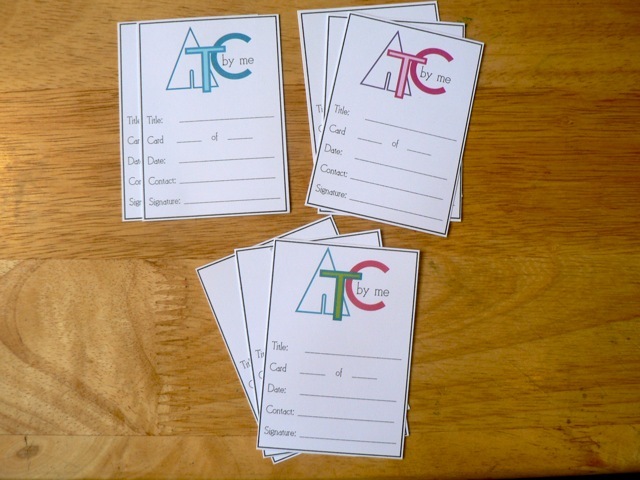 Your ATCs are brilliant! 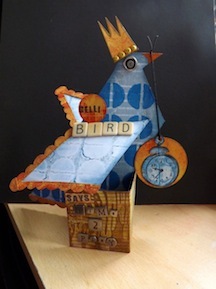 I am primarily a scrapbooker and really dislike making cards, but for some reason I am addicted to these tiny ATC art works and participate in a swap of two ATCs every two months. 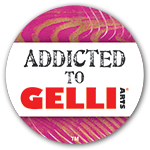 Mine are not as arty as yours though! I love how these turned out. My favourite is the top right hand one. 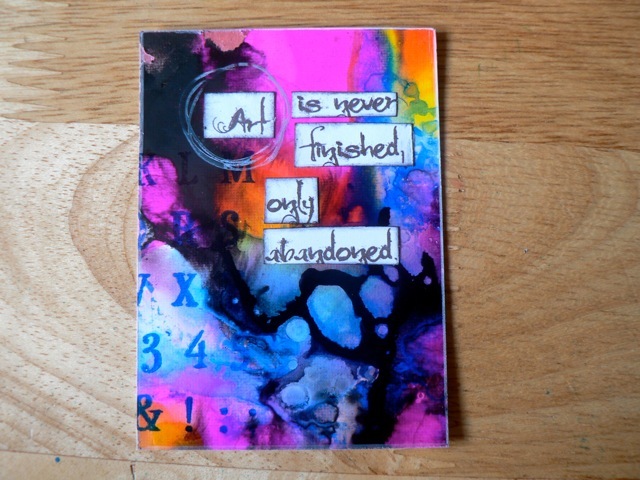 I love the bright colours and the quote is great – I too am often abandoning things, LOL! Great job. 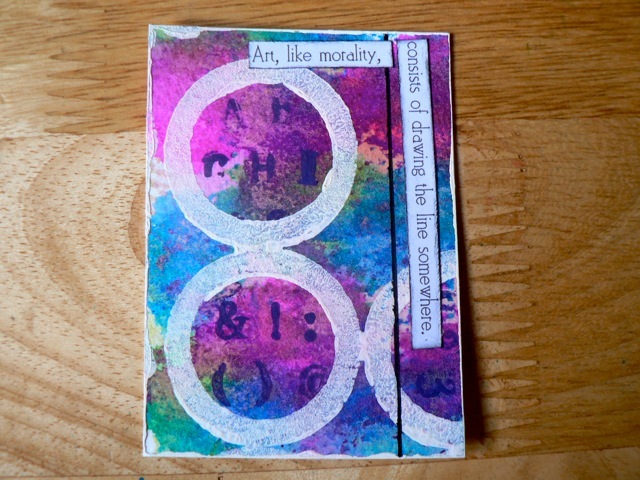 Loved the backgrounds when I first saw them and the finished ATCs are even lovelier. Your idea of replacing the weights with a pen is brilliant – go for it.